The following is taken from an article that appeared in Our Town, April 2019 edition and features a piece by Liam Byrne. Definitely food for thought…. Liam lives at Little Leigh and is a leading member of CHAIN, who have campaigned since 2007 against an incinerator in Cheshire, which for us means the TATA project. Now read what CWAC said when he asked for some facts which you might think a council that cares for its people would have readily to hand. “Maybe it’s being a grandfather that does it but I have a horrifying nightmare that one of my grandchildren might become the victim of a serious or even, God forbid, a fatal road accident. I believe it has a lot to do with an interest I have taken for a long time. 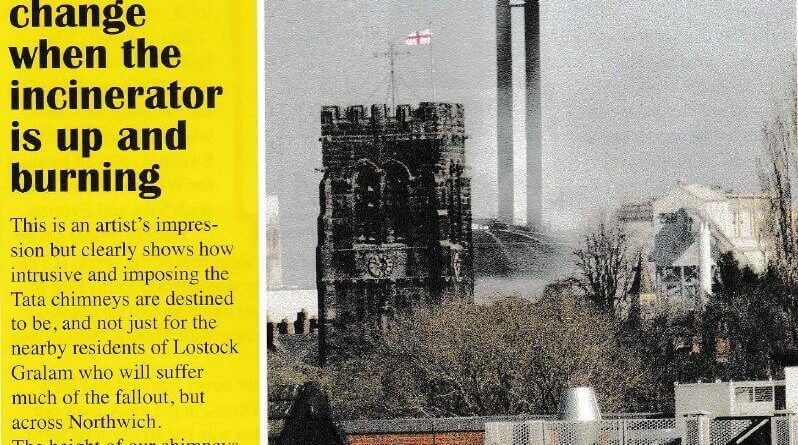 as a member of the CHAIN team, in the traffic horrors that await children who live on or near King Street/Griffiths Road in the Lostock/Rudheath area after both planned waste incinerators and the other approved developments come on stream over the next few years. The numbers are astounding. The key one is that the black bag waste of about 1.6 million households or 4.2 million people will be lugged on HGVs into Northwich for at least the next 30 years and there may be more if CWAC council gets its way. Traffic on King Street is predicted to be 30 vehicles per minute at busy periods including 2 HGVs every minute. How long will it be before King Street/ Griffiths Road becomes Carnage Street and the ambulances and medical helicopters are on their way to collect the casualties? Well, you might ask, surely the authorities have carefully checked all this out on our behalf before granting permission and can show that the risks to pedestrians and other road users are tolerable? 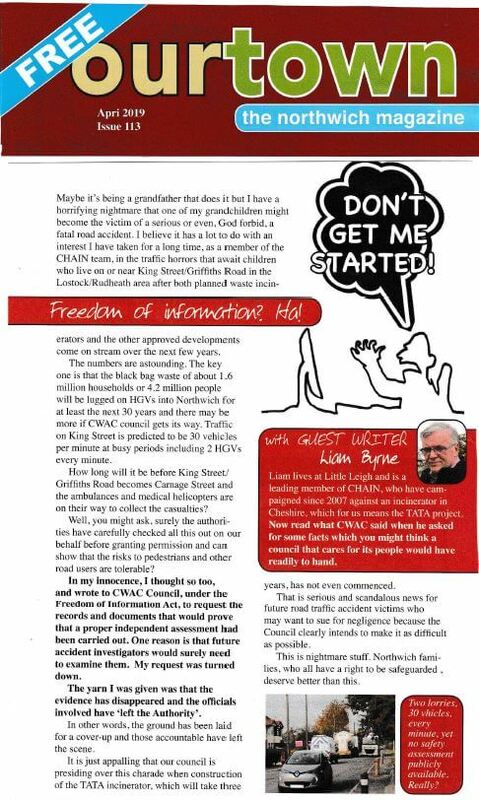 ln my innocence, I thought so too, and wrote to CWAC Council, under the Freedom of Information Act, to request the records and documents that would prove that a proper independent assessment had been carried out. One reason is that future accident investigators would surely need to examine them. My request was turned down. The yarn I was given was that the evidence has disappeared, and the officials involved have ‘left the Authority’. In other words, the ground has been laid for a cover-up and those accountable have left the scene. 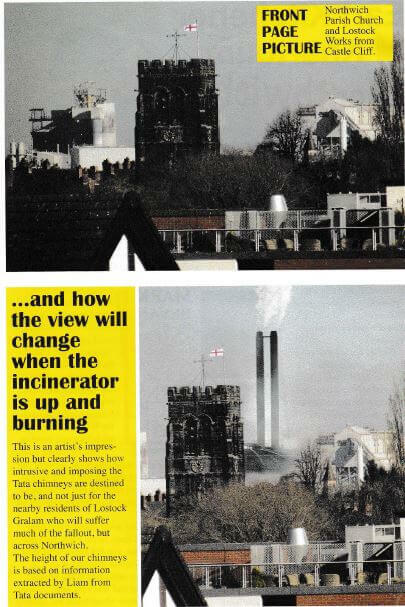 It is just appalling that our council is presiding over this charade when construction of the TATA incinerator, which will take three years, has not even commenced. That is serious and scandalous news for future road traffic accident victims who may want to sue for negligence because the Council clearly intends to make it as difficult as possible.